Check the weather, your Facebook News Feed, and your weight while you stare at yourself. Haier’s Magic Mirror is one of the few products at CES that I could actually imagine buying for my house. This crazy smart mirror looks like any other, but when you tap on the glass, it comes to life. 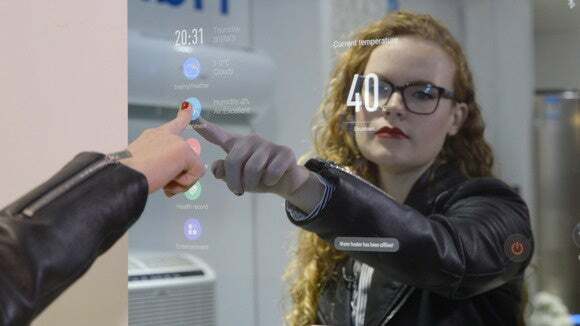 The display has built-in apps that show you the weather and offer health tips, plus connect to social platforms like Facebook. 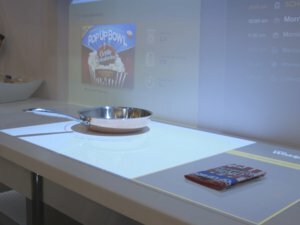 The mirror connects to Haier’s U+ Smart Life Platform, which is used in China but hasn’t yet arrived in the States. It also connects to Bluetooth devices like a bathroom scale that displays your weight and BMI on the mirror, and then tells you what to do about those numbers if they’re not to your liking. Haier plans to launch the Magic Mirror in China later this year. The company hasn’t said how much the mirror will cost or when it might come to the U.S., but I’ll be first in line to try it out.